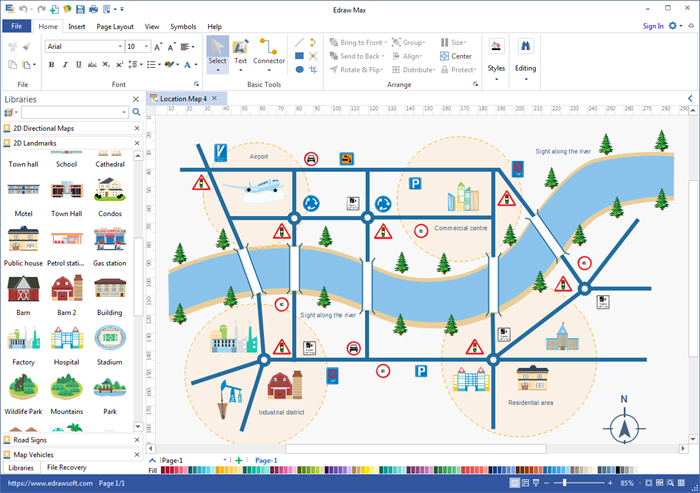 Easy-to-use location map software helps create location maps and street maps with pre-made shapes, landmarks and vehicles. 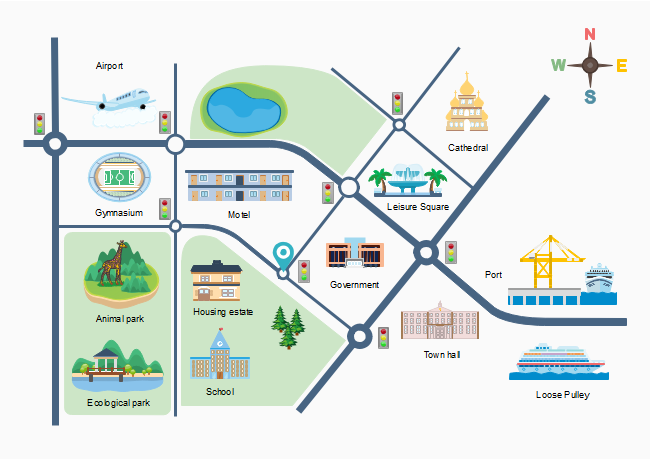 In just a few minutes you can, without any drawing ability, draw your own location maps for your website. Draw location maps to tell people where your business is located. Edraw location map software lets you create location maps that are straightforward and easy to follow. It doesn't just display an existing map from real places like Google map, but allows you to define your own map with visual quality. 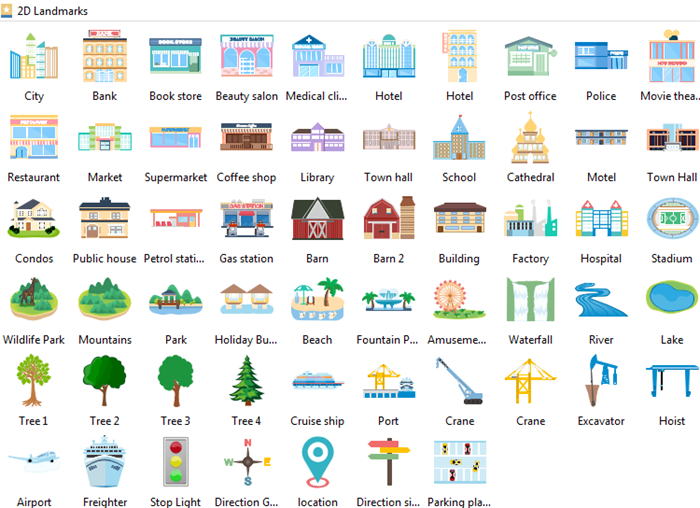 It contains libraries of built-in shapes which are commonly used in location maps. Simply drag and drop the shapes you need, and customize the shapes to your specific requirements. No complicated users interface and no learning curve. Everything is so easy with the drag-and-drop simplicity. Includes a large range of vector location map elements. Contains advanced functions such as snap and glue, group and ungroup, automatic spacing and alignment, etc. Easy to draw and manage text boxes. Easy to use themes, quick styles, quick color bar, fill and line setting buttons to customize shapes and the whole map. 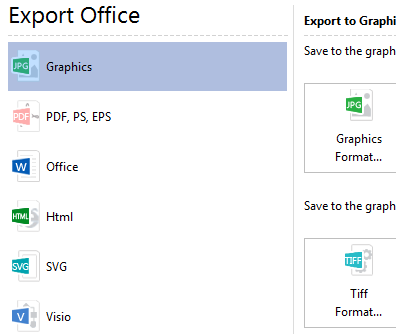 Support lots of export options including PDF, PNG, SVG, Word, PPT, etc. Provides tools for drawing custom shapes. 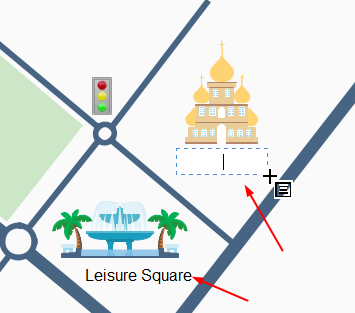 Within the location map software, there are pre-defined symbols libraries for composing location maps. 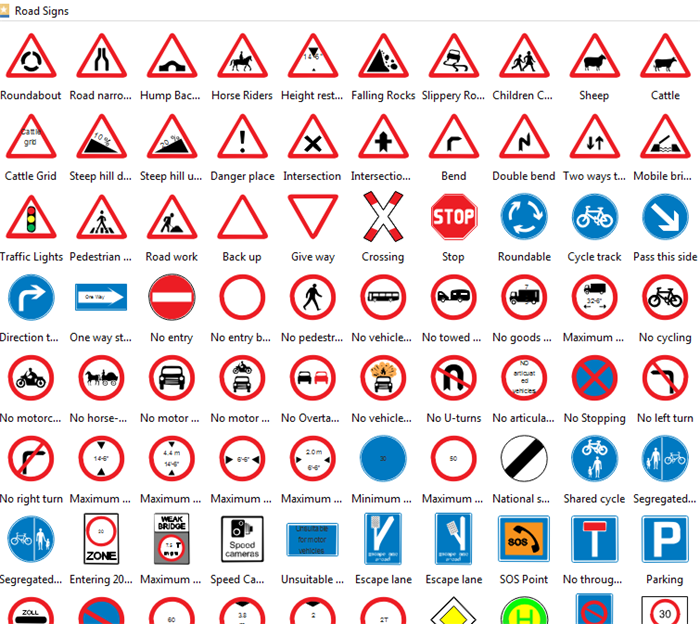 You will get vector symbols for road, bridge, region, landmarks and road signs. The symbols can be stretched without quality loss. Drag and drop needed symbols on the canvas to start your design quickly. From this location map we can see the major streets and landmarks of an area. The location map helps people recognize where the target place is and what buildings are nearby. This city location map shows a blueprint of urban planning. 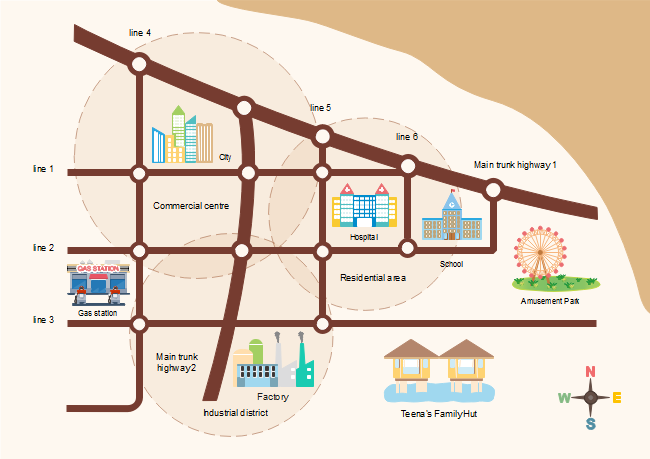 It points out the commercial, residential and industry regions with circles, so that people will know how the city is planned. The street maps gives a vivid and intuitive impression of a region. It doesn't like google map which just display the real maps. 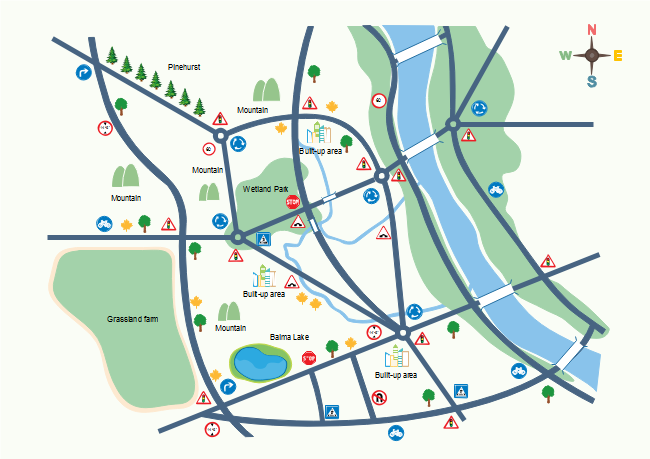 This street map uses simple and identifiable symbols to give people a clearer view of this area. 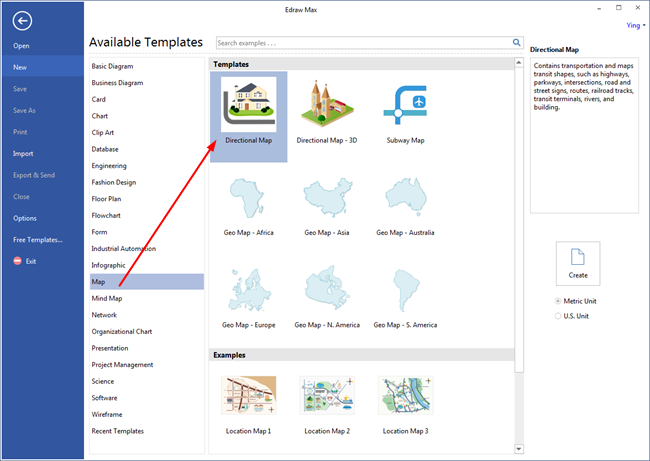 On the File menu, point to New.-> Click Map, and then double click the icon of Directional Map in templates window. A blank canvas and the necessary libraries open automatically. You can open more libraries by clicking the library button, and close the libraries you don't need. Drag and drop required shapes and place them on anywhere of the canvas. Sometimes you might not find the shapes you need from the built-in libraries, don't worry, our drawing toolkit allows you to draw any shape you want. 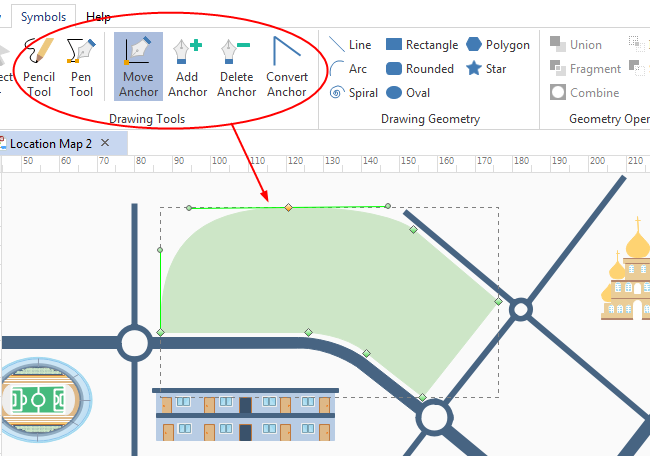 Go to "Symbol" tab, and use the symbol drawing tools to create custom shapes. 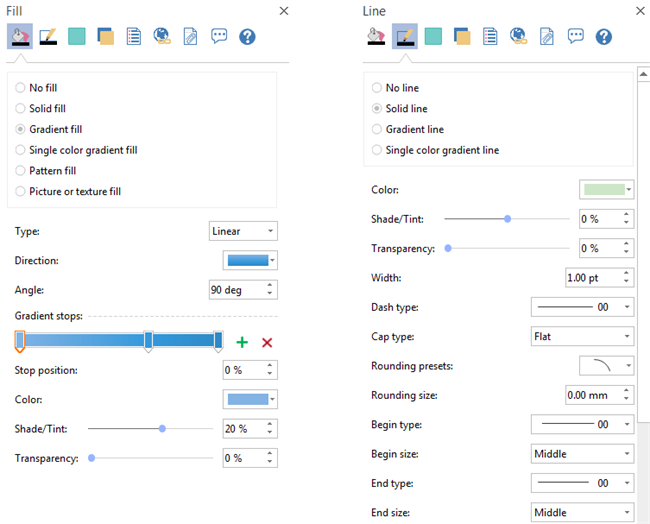 Open the Format Task pane on the right of the canvas, then you can change shape fill, line and shadow effect there. Under Home tab, click Text button. Your cursor will become the text mode, then you can draw text boxes anywhere on the canvas. Click Save on File tab to save your file. You can choose to save in local files or save in your Cloud. Saving it in Team Cloud can share it with more people. Not everybody has a copy of Edraw so there are times when you need to export diagrams from Edraw into another format. Click Export & Send under File to export the location map as various formats including PNG, SVG, PS, PowerPoint, JPG, PDF and so on. Besides location map, Edraw is also capable at making 2D directional map, 3D directional map, world map with pointer, geo map, etc. 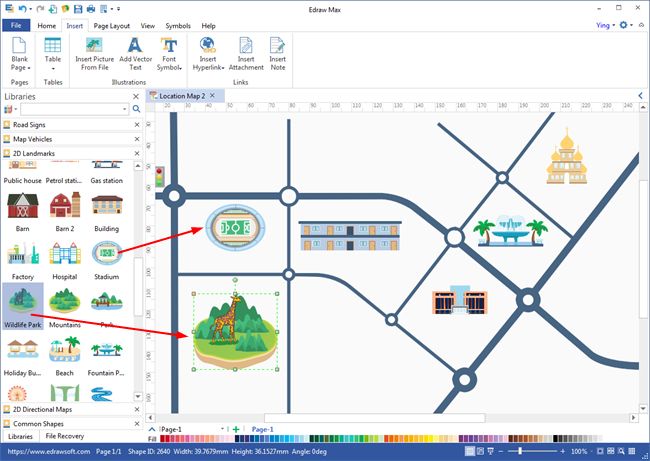 Download one program and gain all the benefits for creating maps.